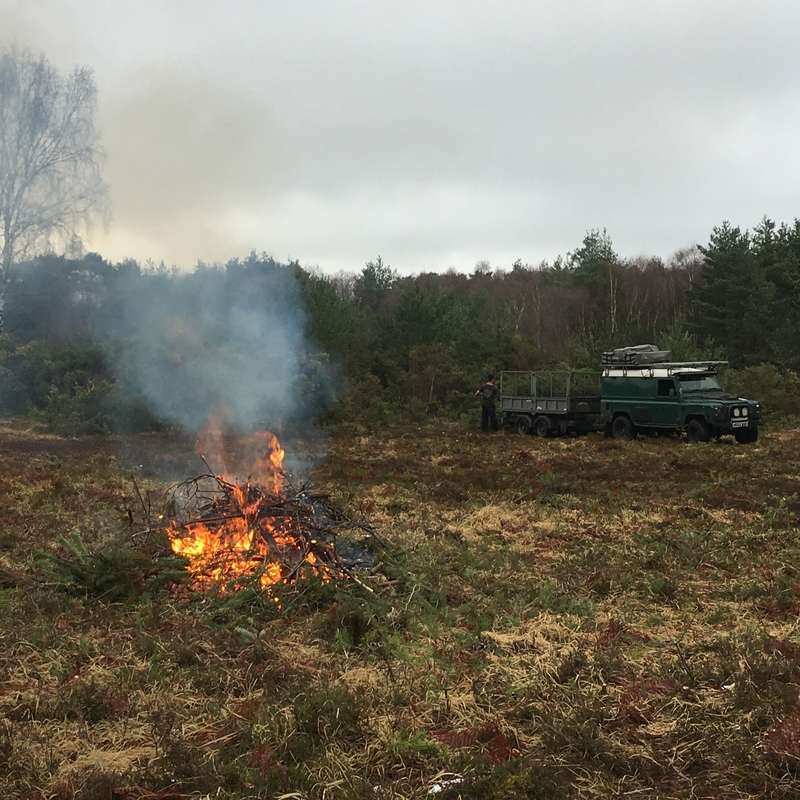 Contractors employed by Hampshire and Isle of Wight Wildlife Trust will be carrying out scrub clearance this month on Velmead Common, Brocks Hill (Long Valley) and Caesar’s Camp. Work starts today at Caesar’s Camp and is already underway at Velmead Common. The aim of this management is to maintain the open heath in good condition for a diverse range of rare plants, invertebrates, reptiles and birds. 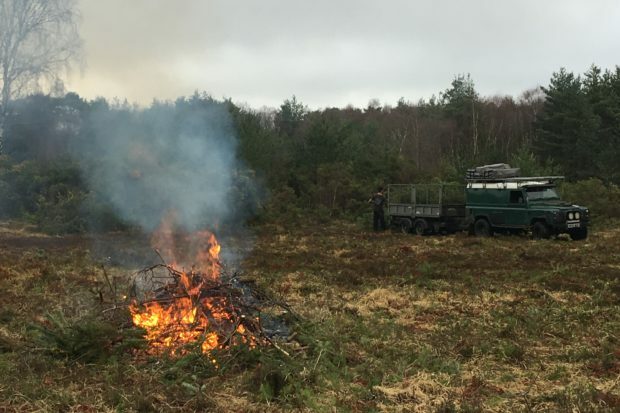 The invasive rhododendron will be removed and areas of gorse, pine and birch scrub will be cleared, or thinned, to open up the habitat, as open areas are vital for a number of species. Some gorse will be retained as a valuable nectar source and habitat for the Dartford warbler. Areas of bare ground will also be created by scraping off the litter layer to allow heather to regenerate, which will also benefit woodlark.